Turaki Hassan, Abuja: The Speaker of the House of Representatives, Rt. Hon. Yakubu Dogara, has implored political leaders at all levels to invest in the people rather than politics. Dogara, who spoke at the Government House, Owerri, during his visit to Governor Rochas Okorocha, said that mentoring people and investing in them were the surest ways of improving their lives and generating wealth. He also commended Okorocha for initiating and executing people oriented policies and programmes. Dogara also urged Governor Rochas to invite captains of industry and other political leaders to the commissioning of projects in his state, so that other leaders may be inspired to replicate such projects. The Governor had earlier described Speaker Dogara as a long standing personal friend of his and the entire people of Imo state, and commended him for showing exemplary leadership in the green chamber. 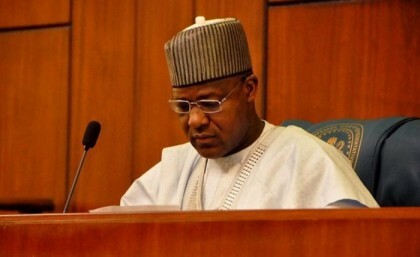 Dogara, who was accompanied by the Deputy Minority Leader, Hon. Onyeama Chukwuka and other members of the House, was earlier received on arrival at the Airport by the Speaker of Imo State House of Assembly, Hon. Acho Ihim.